You know the Mary Kay brand is Dallas born and bred. You may also be aware that beloved guy line Jack Black, celeb-fav color collection Susan Posnick, and gift-worthy Niven Morgan were founded here, too. But there are dozens of local skincare collections still flying under the radar. 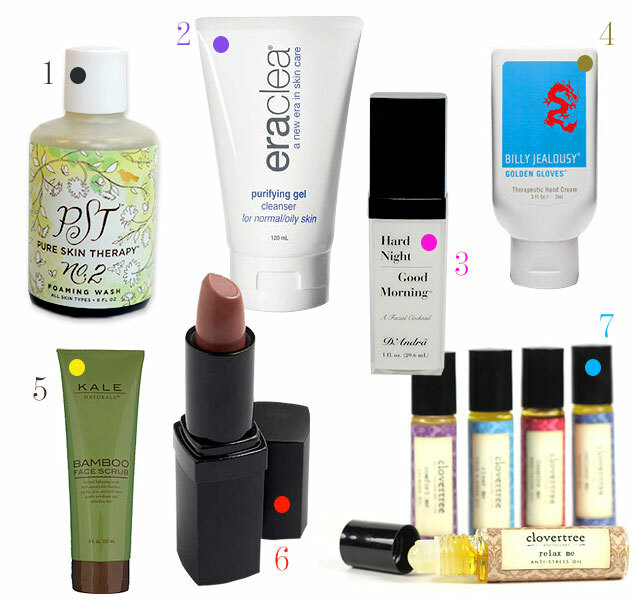 Here are seven of my favorite locally created products to add to your beauty routine. Robyn Straza, owner of appointment-based Pure Skin Therapy spa, created a trio of facial cleansers that, when used in different combinations, can cater to a variety of skin types. My favorite is the Foaming Wash. The thick, herbal scent and natural, silky formula is both cleansing and refreshing. Where to buy: By appointment only at Pure Skin Therapy. The cosmeceutical line is based on products that aim to hydrate the skin using a patented “HylaSponge System,” which utilizes hyaluronic acids. I love the gel cleanser, created with oily skin in mind, for preventing breakouts in the summer but never drying out my skin. The purpose of this serum, invented by Dallas’ D’Andra Simmons, is to revive tired, damaged skin, and perk it up. I like it to use it in the morning for the subtle tightening, plumping effects, and clean smell. Manly enough for him, but delightful soothing for me, this hand cream includes Monoi de Tahiti, a scented combo from soaking Tahitian gardenias in coconut oil. The formula is hydrating, but quick drying, so no oily residue. This mens grooming line, started by two Dallas women, Tia Pettijohn and Dana Kale, contains a variety of products, like face wash, shave gel, and a 3-in-1 wash, but I love the scrub. Bamboo, jojoba, aloe, and mint, exfoliate and soothe, preventing ingrown hairs for my boyfriend and refreshing skin post-workout for me. Beauty lines by makeup artists are often my favorites. Who better to create a good lipstick then an expert at using and applying lipstick? Kristen Colaneri’s eponymous collection is simple and usable. I love the lipstick, which is smooth and creamy and comes in a variety of neutrals. Spa Habitat owners Greg and Amy Bohn created Clovertree as a line that was both pure and honest about its ingredients. Herbal remedies were the foundation, but the brand expanded to delicious bath and body products. I love the aromatherapy rollerballs as both a natural antidote (like the Comfort Me Calming Oil with lavender and vanilla) and a healthy perfume (like the Inspire Me Meditation Oil with ylang ylang, patchouli, and sweet orange).